This week has been a mix of sun and rain showers, so it must be April! The tulips are in bloom and the fruit trees are busy showering us with their pink and white blossoms. Here's a photo from my walk this afternoon - Tulips in Vancouver, WA. 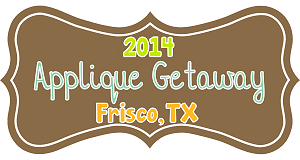 We have TWO passes to give away for this summer's Applique Getaway in Frisco, Texas! 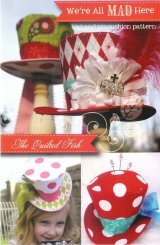 With the wacky weather of April comes some wacky headwear from The Quilted Fish pattern company. 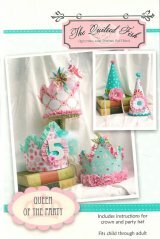 Who wouldn't want to be the Queen of the Party or a Mad Hatter? Now you can be both! Additional Mini Confetti Dots from Dear Stella. 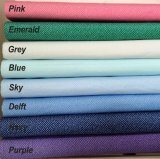 Purple, Delft Blue, Sky Blue, Blue, Grey, and Emerald have been added to our selection. The photo on the right shows a close up (really close!) of the Grey. The White dots are very subtle on the light Grey ground. Click on any photo to see the product detail page. Don't forget to check our SALE category. 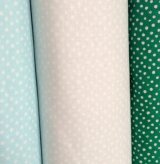 Click to visit Unbiased Fabrics!